Existence Artistique (Angers, France) on 19 August 2017 in People & Portrait and Portfolio. Excelente composición con lindos colores y luz. ***** Buenos días. 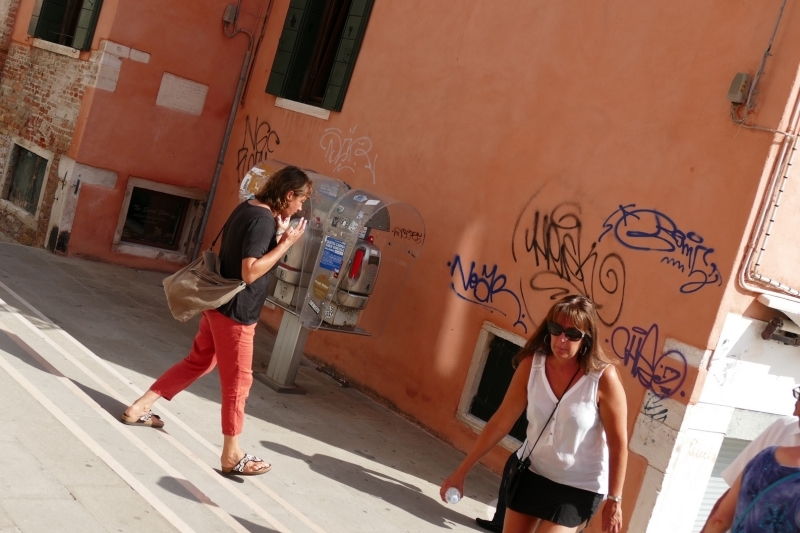 A fine street scene of these walkers by the graffiti. Excellent detail and color. yet another good image ! The angle of the shot is at first unnerving, but it works. The woman on the phone appears to be charging downhill, while the woman in white seems to be labouring up the hill. Nicely done. A superb angle. Excellent street scene with great detail. I like the angle. A wonderful street scene! Laa dame au phot qui passe devant cette cabine mervielleux.